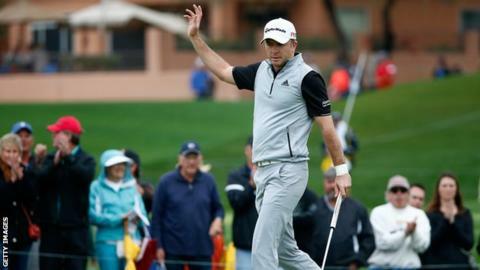 Scotland's Martin Laird holds a three-stroke advantage going in to the final round of the Waste Management Phoenix Open in Arizona. The America-based golfer carded a 68 on Saturday to follow two rounds of 66 and tees off on Sunday at 13 under par. Japan's Hideki Matsuyama hit eight birdies for a round of 63 and he and the American pair Brooks Koepka and Zach Johnson sit at 10 under. Inverness golfer Russell Knox is also in contention two shots further back. His third-round 65 leaves him tied for eighth place with eight other players, including Francesco Molinaro of Italy and the American Bubba Watson. Spain's young amateur golfer Jon Rahm, who is based in Arizona, has enjoyed a fine tournament so far with rounds of 70, 68 and 66 to sit at nine under.